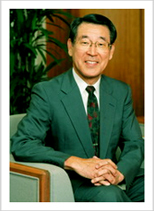 Professor Tetsuo Kashiwagi was the Chairman of the APHN Council from the Inaugural General Meeting in May 2001 until 2004. He has been involved in palliative care in Japan since 1973 when he set up the palliative care team at Yodogawa Christian Hospital. Eleven years later a 23 bed in-patient hospice ward was opened in that hospital and this unit became the focus of palliative care development in Japan. Professor Kashiwagi is now the President of Kinjo Gakuin University, a 5,000 strong campus in Nagoya. For 10 years from 1993 he was Professor of Human Sciences at Osaka University where he guided many PhD students whose work focussed on issues relating to death, dying and bereavement. Professor Kashiwagi first became interested in care of terminally ill patients during the years from 1969 to 1972 while he was a Psychiatric Resident at the Washington University in Missouri. It was here that he was first exposed to OCDP (Organised Care of the Dying Patient), a term used by Dr Melvin Krant. This was before the first hospice in USA opened in Connecticut in 1974. In 1979 Professor Kashiwagi made plans to visit Dr Cicely Saunders at St Christopher’s Hospice and Dr Derek Doyle at St Columba’s Hospice in Edinburgh. Dr Cicely Saunders knew that Professor Kashiwagi was a psychiatrist who wanted to set up a hospice in Japan. She said to him, “If I were a patient in pain, I would not want a pastor to pray over me. I would want a physician who knew how to relieve my pain.” Following this conversation, Professor Kashiwagi decided to repeat his residency, this time in internal medicine and oncology. Professor Kashiwagi has many publications. At the age of 38 he decided to publish one book a year. He has now published nearly 30 books. The Japanese Association of Hospice and Palliative Care Units (now called Hospice Palliative Care Japan) was established in 1991 with Professor Kashiwagi as President. He held that position until 2004. He has also been the Inaugural President of the Japanese Hospice Palliative Care Foundation since it was set up in 2002. APHN had been very honoured to have Professor Kashiwagi as the Inaugural Chairman, as Vice-Chairman of the Pro Tem Committee and Vice-Chairman of the APHN Council since 2004. He has brought with him his vast experience and wisdom to the organisation as it explored its networking role in the region.